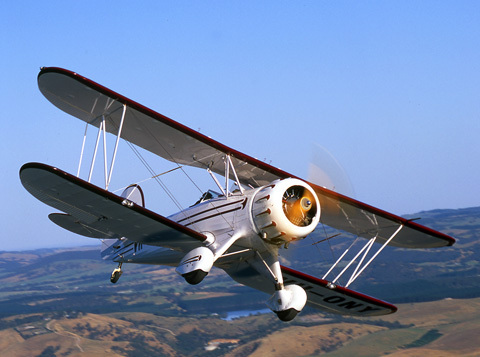 The Waco Biplane (pronounced wahko) is a modern day reincarnation of a classic 1935 design of sports biplane, unique in its ability to carry two passengers in its capacious front cockpit. 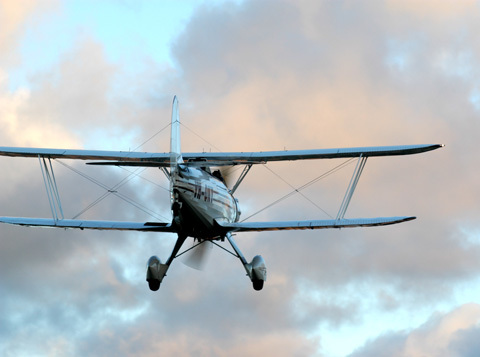 Our Waco biplane aircraft is serial no 047 of the new build Classic Wacos that are still being built today to the original type certificate. It formerly wore the registration N40138 and lived in various areas of the USA. 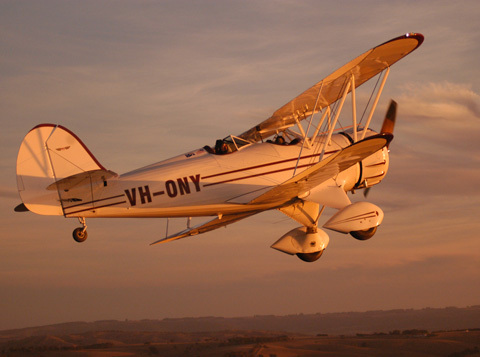 We imported our Waco from North Carolina into Port Adelaide in January 2005. Her former owner an American Airlines MD 80 Captain and his Engineers, lovingly disassembled her and packed her carefully into a 40 foot shipping container for her long voyage. It is a tribute to their skill and care that the aircraft arrived with no damage at all. 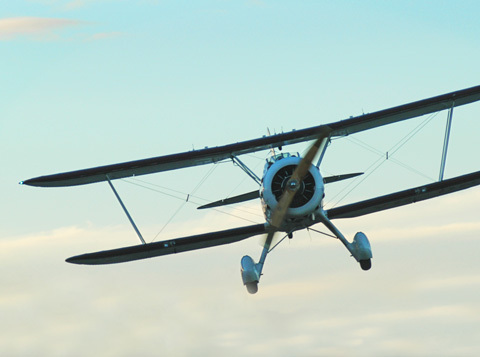 Our Waco biplane was re-assembled over a period of a couple of months and was issued a Certificate of Airworthiness in the standard category in March 2005. 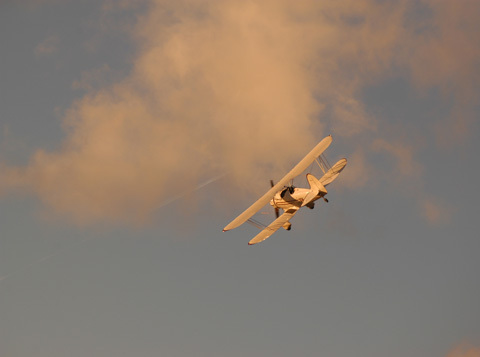 Our Waco biplane’s total time in service now stands at nearly 800 hours from her manufacture date of 1992.